Australian researchers have developed a more accurate diagnostic tool for the face tumours that threaten the iconic Tasmanian Devil. Tassie devils are affected by two types of facial tumours which are transmitted through biting. The tumours are indistinguishable to the eye, but researchers have trialled a genetic test that can quickly and accurately diagnose the cancers without being too invasive. This work will assist with Tassie Devil disease monitoring and contribute to ongoing conservation efforts for this endangered species. Funder: This work was supported by grants from the Wellcome (102942/Z/13/A), the National Science Foundation (DEB-1316549), the Australian Research Council (DE170101116), the University of Tasmania Foundation (Eric Guiler Tasmanian Devil Research Grants) and a Philip Leverhulme Prize awarded by the Leverhulme Trust. Y.M.K. is supported by a Herchel Smith Postgraduate Fellowship and M.R.S. is supported by a scholarship from the Gates Cambridge Trust. 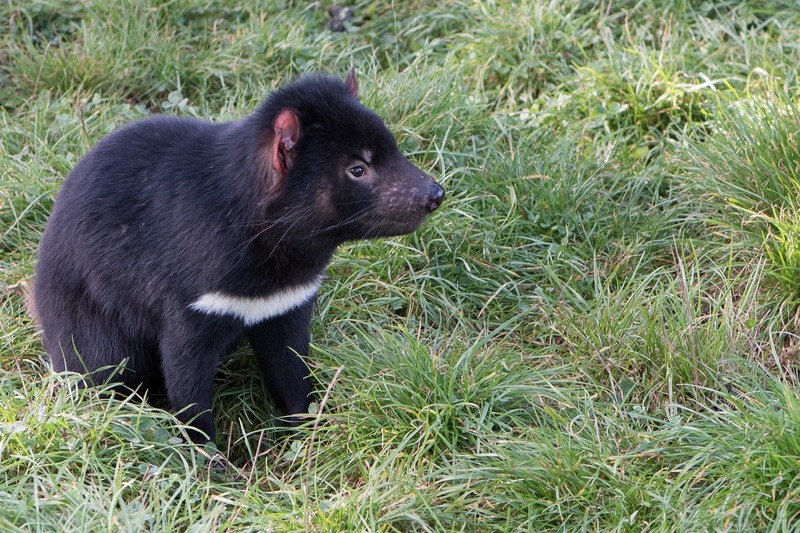 Tasmanian devils, large marsupial carnivores, suffer from two distinct transmissible cancers. These are cancers that transfer between animals by transplantation of living cancer cells by biting. Both cancers cause facial tumours in devils, and the tumours caused by the two cancers are indistinguishable based on physical examination. We have designed and trialled a genetic diagnostic test that distinguishes between the two cancers, and provides rapid and accurate diagnosis of cancer in Tasmanian devils. Importantly, the test requires minimally invasive tumour biopsies. This work will assist with devil disease monitoring, contributing to ongoing conservation efforts for this iconic and endangered species.